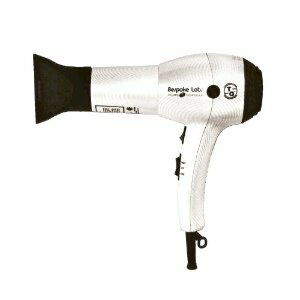 Bespoke Labs Featherweight Professional Ionic Ceramic Hair Dryer is a powerful 1800 watts, but it only weighs 13 ounces. It also comes with a removable filter and screen, 2 speed settings and cool shot, as well as an ionized concentrator. This certainly sounds like a good hair dryer especially if it eliminates frizz. I hate blow drying my hair cause it looks so fluffy and feels dry after wards. There are mixed reviews on this product. One person from epinions.com says how the hair dryer made her hair look healthier, shinier and cut down her drying time. While another user said it was a waste of money because it isn't very powerful and didn't cut down her drying time. That was the main reason she brought it. 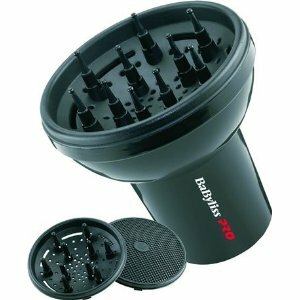 I think this hair dryer would be best suited for when traveling as it is lightweight and for someone with short or fine hair, as some ladies found it wasn't powerful enough to dry their thick long hair. T3 Bespoke Labs 83808-SE Featherweight Professional Ionic Ceramic Tourmaline Hair Dryer can be bought for $91.95 as it is on sale. It normally costs $200. Which I think is a lot to spend on a hair dryer, but if it stops hair from frizzing it may be worth it. You are currently browsing the archives for the Hair Dryers category.